Now I must admit I just love Asian and middle eastern food, they are my all time favourites. I know how to make a variety of indian foods but I am no expert but still, I do like to give it a whirl. Some days I want to make Asian recipes but I don't have all the ingredients I need or I might be unsure how to make them. I was super excited when Feast Box asked me to try out one of their subscription boxes! Feast Box has many different recipes to choose from on their website including a decent selection of vegan and vegetarian options too. You have the choice if you want the meals to be for 2 or for 4 people and it also tells you next to the recipe how much it costs per person/serving on the recipe you choose. You can choose when you want to deliver and can cancel the subscription when you want. So the box comes by courier and as you can see by the photo above that the box is a decent size. Inside the box, it is cool because it has ice packs inside to keep the food cool. The vegetables were all in paper bags while the onions, frozen garlic & gingers and spice packets were in a reusable drawstring bag. Everything I could see including the packaging keeping the food safe during transit is recyclable which I think is just- it's nice to see when brands are earth friendly. Aubergine has to be one of my favourite things to cook with, its surprising at how versatile it is! Preparing this took about 30 minutes and the cooking time was 40 minutes. The combination of lentil, pomegranate and aubergine were heavenly as the aubergine was lovely and soft, the pomegranate bringing a nice sweet twist and the lentils have a lovely texture in your mouth. I would 100% buy this again, delicious. Now, this dish was something I have never tried making before with single cream and yoghurt so it's a first! Surprisingly it was my favourite out of the 2 dishes even though I do love both. Making this did take time and reading the step by step guide is super important to make sure its right but since the instructions were easy to read and follow it was easier than expected. 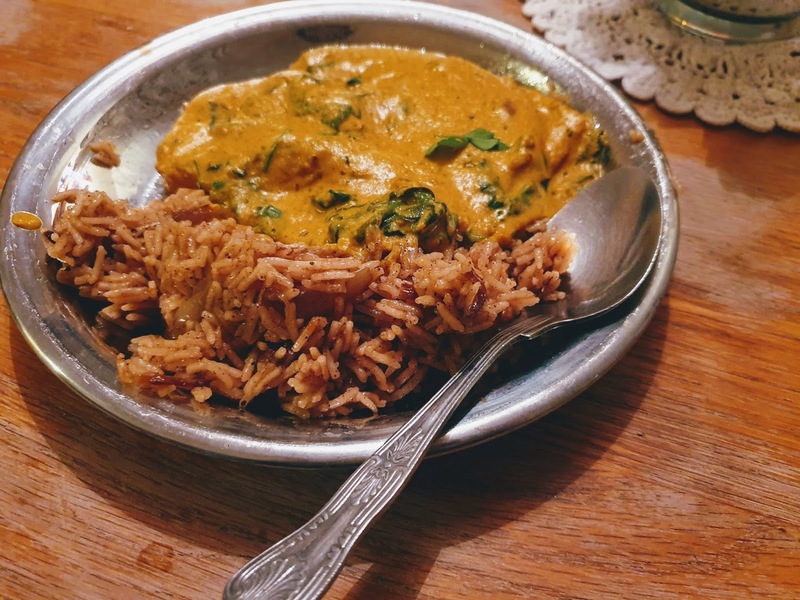 I wouldn't have thought I would have loved a creamy curry but this was so delicious that I had to get a piece of bread to get the last bits of masala off my plate. Overall my experience was 100% positive they were nothing I didn't like. 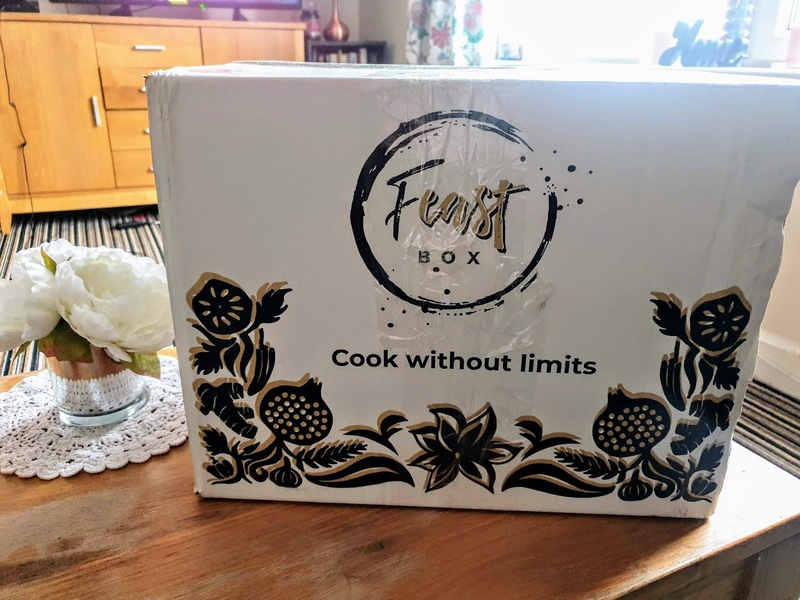 The Feast Box website is very simple to use and navigate and the delivery times were perfect for me being a busy mum. The meals for 2 were the right amount of servings and the food itself was mind-blowing. I think the best thing about this box is you learn how to make new foods with fresh and delicious ingredients. It has made me want to learn to cook more. Want to try Feast Box? 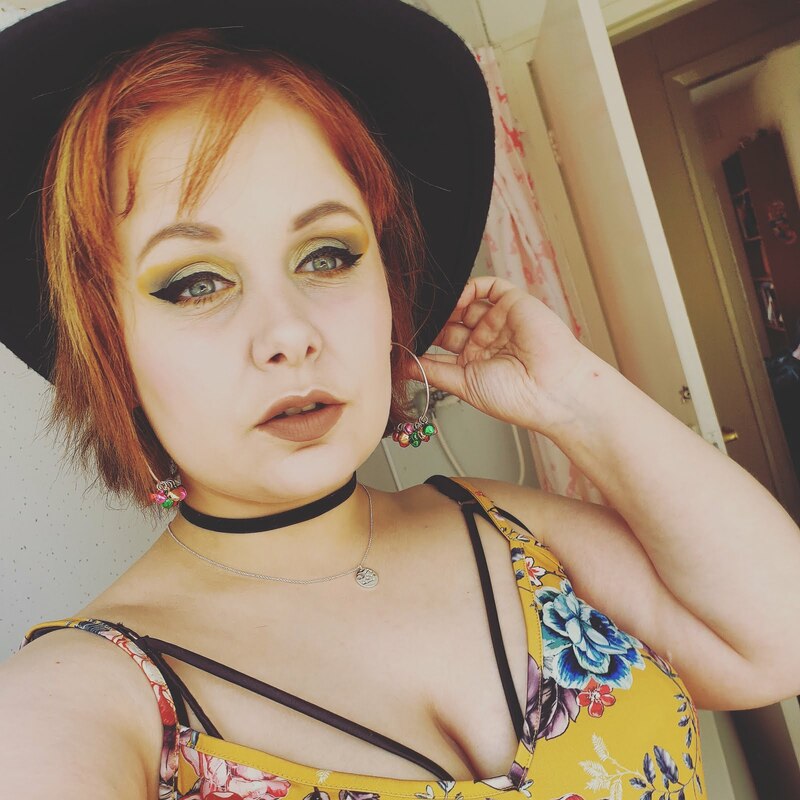 Well, they have been very generous and I have a code you can use for 40% off your first order! 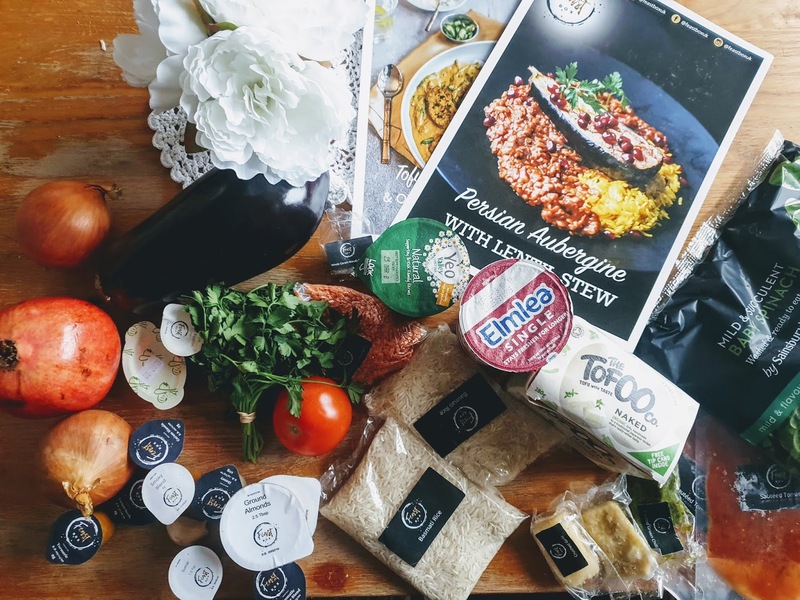 Have you tried Feast box before; Have you tried a food subscription box before? ooo thanks for the review. We have not heard of these guys before and the food looks super tasty. Thinking we may order a box. Oh my, tikka masala is my favourite kind of curry and I'd love to try a tofu version of it! Definitely going to have a look at this, I've never tried tofu before and I love aubergine!